The hub of many major business concerns is located in DC. Take a look at these: private healthcare to defense contracting to tourism. There is something for anyone that makes a decision to move in here. If you desire to secure an employment with the federal government; then this city is the very place to be. There are movements into the city. From the private individuals, the small and large scale companies; businesses are being moved to DC. You will require the services of auto transport from Florida to Washington DC. That is where AGS comes into the picture. We are an established auto shipping service provider. We have grown in size over the years and presently, we have the capacity to move a whole house. We are that solid in the removalist industry. You can trust us to take care of your needs. What we bring to our clients is far from some of the hypes we find around today. 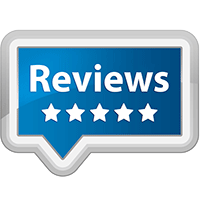 Take a look at the review section of our customers. We mean what our customers posted themselves on our web pages because of what we were able to deliver. Ours is a thoroughly bred service provider in the industry. We are in business because we want to make the difference that matters most.